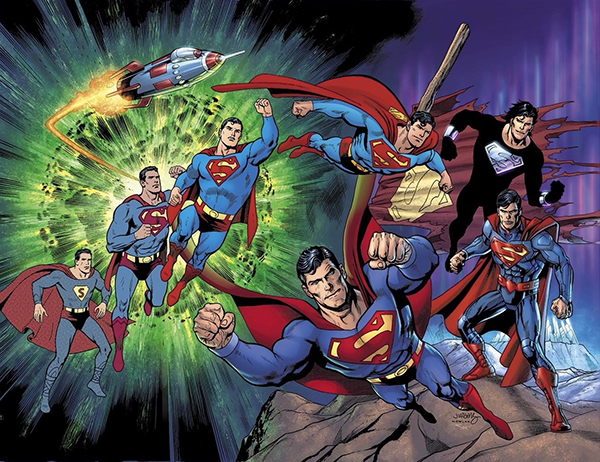 DYNAMIC FORCES® - ACTION COMICS #1000 DYNAMIC FORCES EXCLUSIVE WRAPAROUND ART VARIANT EDITION BY DAN JURGENS - SIGNED & UNSIGNED COMBO PACK! TWO COPIES (ONE SIGNED AND ONE UNSIGNED) FOR ONE LOW PRICE!!! Celebrate 1000 issues of Action Comics with an all-star lineup of top talent as they pay tribute to the comic that started it all! From today's explosive action to a previously unpublished tale illustrated by the legendary Curt Swan to the Man of Tomorrow's future-this very special, oversized issue presents the best of the best in Superman stories! FINAL COVER MAY VARY.